Andy and Kate met seven years ago. He had just moved to the West Chester area and was looking to meet people. Kate had been bet $20 to go on an online dating date after giving a friend a hard time about it. Needless to say, it was Kate’s first and last online date, they clicked instantly and have been together ever since. They were on vacation in Prince Edward Island, in Canada. This is a spot Kate’s family has been visiting for over 20 years, so it’s very special place. It was Andy’s first visit so Kate was showing him the views of her favorite coastal drive. So we’re driving along and Andy says, “Let’s stop at this little park.” They pull the car over and get out, and take a walk along the coastline in the park which faces a pretty inlet with a lighthouse and then we sit down at a picnic table and chatted. We got up to continue our walk and Andy says, “Hold on I have one more thing”, and got down on one knee… And it was perfect ! For their wedding day, they envisioned a timeless but romantic city wedding with 77 of our closest family and friends. 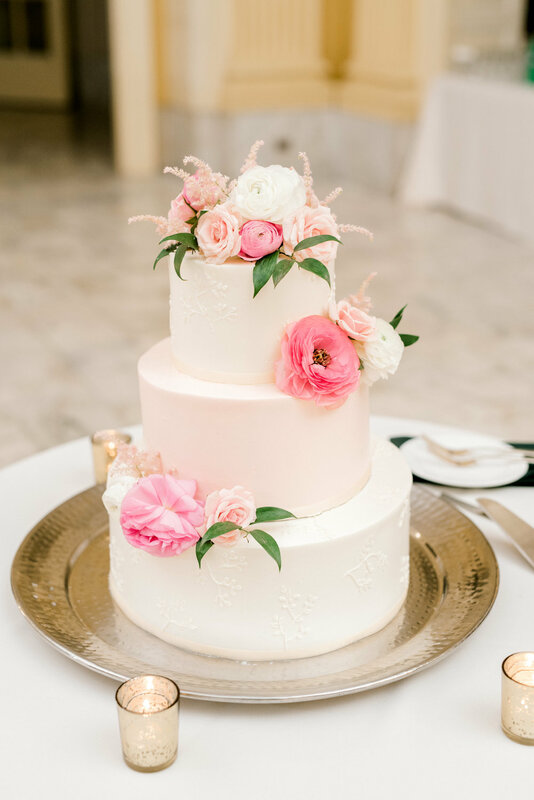 Since their wedding was at the start of the spring season, these two wanted lush spring flowers in blush, light pinks and creams accented with a lot of greenery and gold. The lined pillar candles down the marble staircase of their ceremony site, which we will have their ceremony in front of to give a warm and romantic glow. These two shared an intimate first look on the racquet court together, which made for such a beautiful and unique backdrop for portraits, the slave gray textured walls were absolutely beautiful to photograph against! At the end of the evening, we took a break from the party to capture the classic Broad Street shot against Philadelphia's City Hall and got a bit drizzled on, which again only helped make beautiful photos. ate and Andy simply love spending time together and exploring, activities such as traveling, antiquing, visiting museums or going to sporting events. 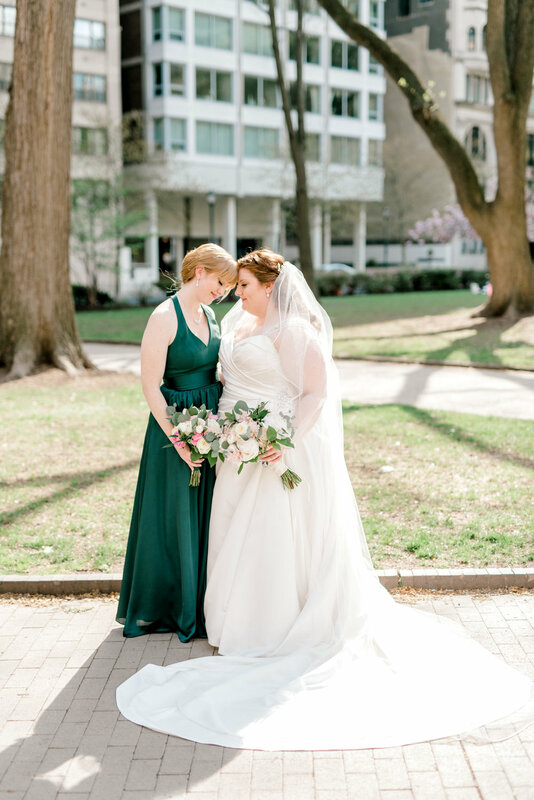 They both enjoy learning about history and culture, which made Trumbauer Hall such a perfect location for their Philadelphia wedding!